Of course, some companies are pleased with a 2-4% website conversion, but substantial gains in sales can be accomplished by knowing the names of the companies and visitors to your site; that is the real payoff for marketing and sales. It’s lovely to have website traffic, but almost useless unless you know who the visitors are. The key element is to combine your web analytics and CRM data to turn anonymous visitors into real people. 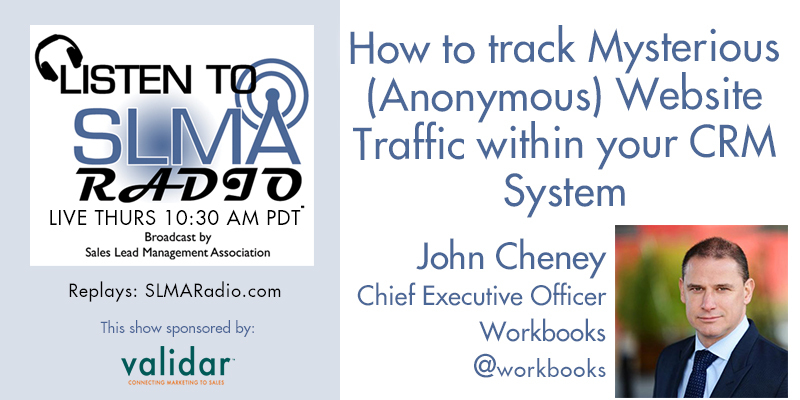 John Cheney, CEO of Workbooks CRM tackles how he has solved the mystery of the mysterious visitors. The host is Jim Obermayer.